I thought it might be useful to add a few additional Jet Provost building notes, collated from various questions that people have asked. There's still quite a bit of wood there, even though a fair proportion has been removed. 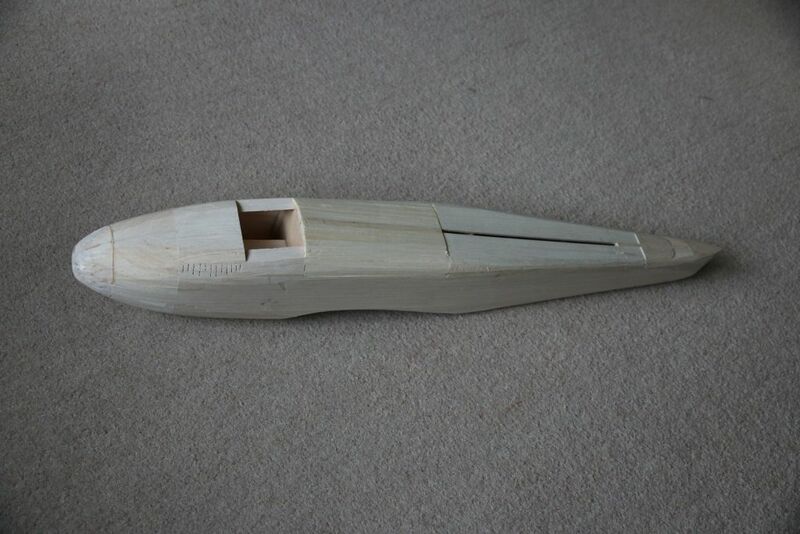 If you don't want to go to the trouble of weighing it yourself and haven't got a stock of wood already, or if someone (probably me) has got to the local model shop before you and swiped all the good stuff, you could do worse than talk to the Balsa Cabin; they charge more for the very light wood ( less than about 6.5 lb cu ft, or what they call "contest grade" ), but - IMHO, anyway - it's worth it. The dihedral brace fits in a slot in the top and bottom wing surfaces, so that the brace is properly bonded to both top and bottom wing skins and the shear webs; it wasn't drawn on the plan because it was made oversize, projecting right the way through the top and bottom surface and glued with PVA, and the excess ply sanded off afterwards. 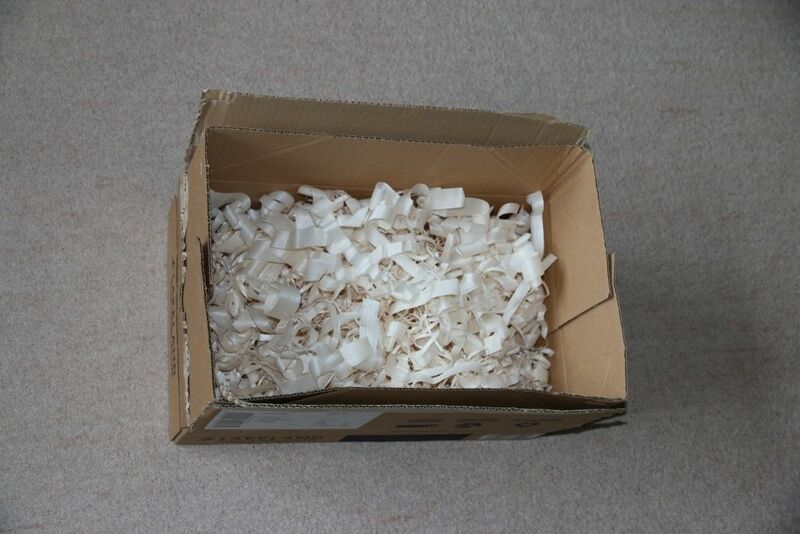 The washout wedge is made from some scrap sheet ( circa 1/8" ) and extends from R1 (zero thickness) to R10 (0.8mm thick); cutting something that small sounds suicidal but it's actually quite straight forward with a) a bit of double-sided tape on the bottom of the straight-edge to stop it sliding around, and b) lots of shallow cuts. 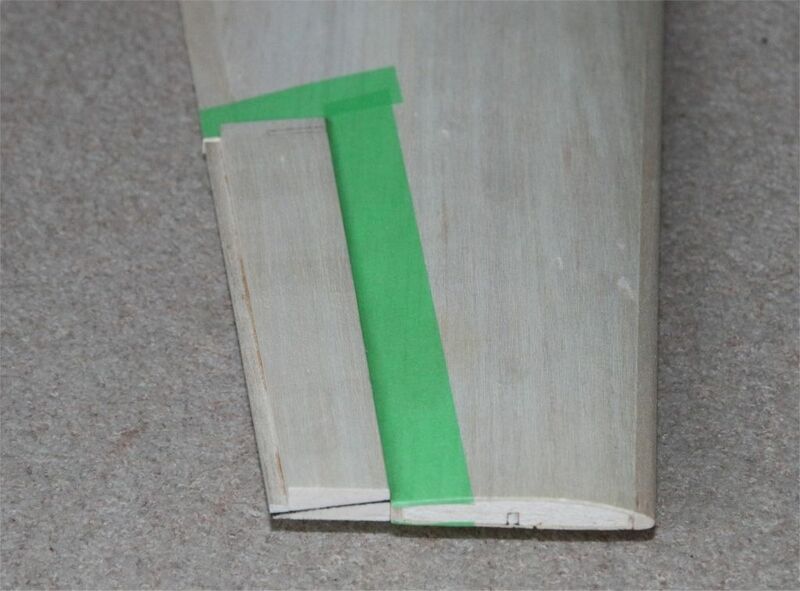 The aileron blanks are spot-glued in place and carved/sanded to shape to match the wing surface, which is protected with masking tape; the hard balsa trailing edges do help avoid dings/dents, and also seem to make the aileron more rigid. 3/32" sq : just pick the hardest, or strip from 43 gram 3/32" x 4"
L.E. : cut from ~ 125 grams 1/4" x 4"
T.E. : cut from 85 grams 3/16" x 4"
Wing : circa 4 - 5 oz, but it's difficult to make it much heavier and it's not critical because it's not a large proportion of the total weight. Tip tanks : aim for around 1 oz for the pair. 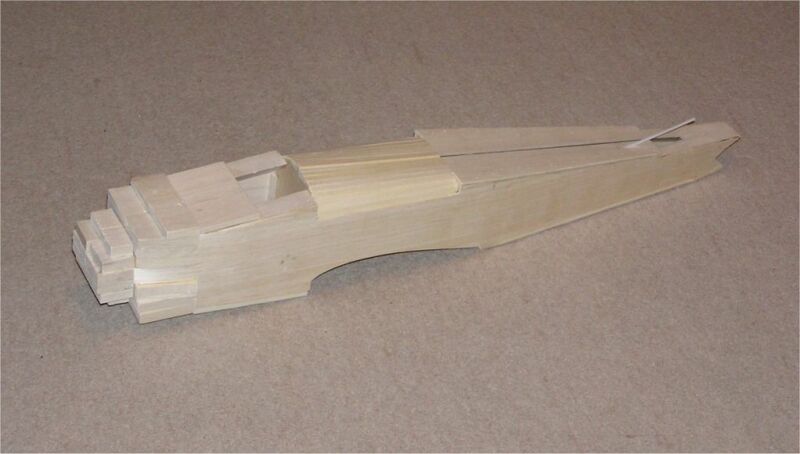 Fuselage : about 8.5 oz; if yours is going to be a heavy model, most of the extra weight will be in the fuselage. And I suspect that most of that will be in the triangle stock that's behind the c.g.